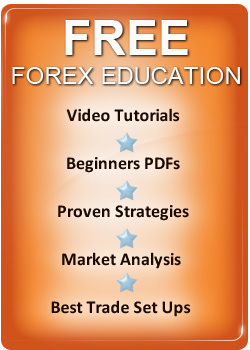 Don't Believe These FOREX Myths! 95% of traders lose when trading currencies and they don't need to – in many cases they believe various myths that are spread by vendors, using hyped advertising copy which appeals to greedy and naive traders to buy courses and FOREX trading systems, which simply don't work. Below you will find the six common myths that cause the bulk of currency traders to lose and if you believe any of them - you will lose too. Many traders love excitement, and their view is, if they are in the market they will catch the big move. Well they may - but chances are they won't. The really big trends only come a few times a year in each currency - and you should stay out the market until they come, otherwise you will take losses, as you will be trading low odds trades, with little chance of success. You don't earn a reward in currency trading for effort or how often you trade – you earn your reward from being right. Be selective in your trading and you will see your profits soar. Diversification simply dilutes your profit potential if you have a small currency account. You catch a big move, and your other trades lose, or give you only marginal profits, reducing your overall profitability. You need to have confidence to go for the big moves, when they occur, and hit them hard with as much as you can afford. Currency trading success is all about taking calculated risks when the odds are in your favor. If the trade looks good, then you need to have the courage and conviction to go for it and risk as much as you can afford. This is perhaps the biggest myth in currency trading – FOREX day traders DON'T make money! Many vendors spread this myth, as it makes a good story. It's a good story and they make their money from course sales NOT trading. All short-term volatility is random – prices can and do move anywhere in a day and support and resistance levels are meaningless. In FOREX day trading you 100% guaranteed to lose over time as you cant get the odds in your favor – PERIOD. Trying to PREDICT where prices are going to top and bottom will see you lose. Because, you are relying on hope and guessing and that's not a good way to make money in any venture, especially currency trading. The only way to trade is to wait for the market to CONFIRM a trend is under way, and then execute your trading signal. You will not buy the bottom or sell the high, but you can't do that anyway, so there is no point in trying. By trading with price momentum on your side, you have the odds in your favor. Don't predict confirm all your trading signals with momentum before you enter a trade and trade with the odds. Most big trends start from new market HIGHS NOT market lows. So if you fail to trade these moves you will miss a lot of the best moves waiting for pullbacks that never come. Again this is related to the myth of predicting currency moves. You will see many vendors saying they can trade market tops and bottoms with scientific accuracy – RUBBISH! If markets moved to a scientific theory, we would all know the price in advance and there would be no market! It's the difference of opinion and unpredictability of price direction that makes a market – this is common sense. Despite the above, many FOREX traders still believe in scientific theories such as - Elliot Wave and The Fibonacci Number Sequence. These theories don't work and never will. Elliot made no money from his theory and neither will you. As for the Fibonacci number sequence – This was devised in the 12th century, to solve a problem to do with the copulation of rabbits and has nothing to do with finance. Leave the above theories to the dreamers and traders who believe it's easy to make money. When you trade you are involved in trading odds NOT certainties, don't believe anyone who tells you otherwise. Trends now are much more volatile than they were even 50 years ago. Today, with the Internet, price information and news reaches traders in a split second. This increases volatility as everyone has the same information at once - and everyone tries to enter and exit the market at the same time. This was not so even 20 years ago - the trends are still there, but volatility is much higher - traders get the direction of the trend right, but they find themselves stopped out by the volatility of the market and watch as the trade they were stopped out goes on to pile up huge profits. It happens to all FOREX traders. Dealing with volatility, is one of the major challenges of any trader wanting to develop a successful FOREX trading strategy. You cannot buy success from someone else. Some vendors can help you but success comes from within. Even if you follow someone's advice, always make sure you know the logic it's based upon. In conclusion, someone can help you achieve currency trading success but you need to know how and why their methods and not follow them blindly. The above myths are commonly accepted - avoid them or you will join the majority of traders that lose in currency trading.